If you have been arrested for DWI, there are many decisions that you will have to make quickly. But the most important decision you make is the decision to hire a DWI Defense Attorney. 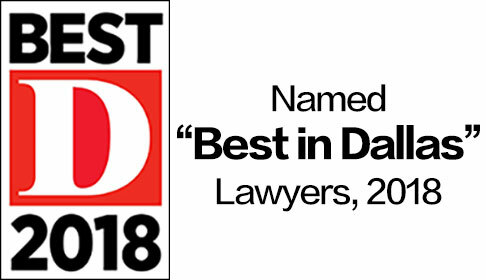 Attorney Paul Saputo has handled hundreds of DWI cases in counties across Texas, and he has developed innovative DWI defense strategies that have led to success inside the courtroom. Should I accept a plea to an Obstruction charge? How do I contest a license suspension? Can I keep driving after I have been arrested for DWI? How can I win a DWI case? The Saputo Law Firm has a full-service DWI Defense practice, meaning that we handle every aspect of your defense. From fighting the initial license suspension, to obtaining your occupational driver’s license, to pre-trial motion and investigation all the way through trial, our firm will guide you through every step of the way and aggressively defend you. We protect your legal rights with innovative DWI defense strategies and cutting-edge science and forensic technology to advance your case and confront the state’s attorneys. Having never been in a legal situation before, I was extremely nervous and had no idea what to expect getting my first DWI. Paul was helpful and put every concern I had at ease. You can tell he is very passionate about what he does, which really stood out to me. I hope to not have to use him again, however if i ever find myself or a loved one in a legal situation he will be my first call. The penalties for a DWI conviction can be severe. The punishment for a DWI conviction is probably the most serious of any misdemeanor offense in Texas. This is why we go to great lengths to defend you and challenge every aspect of the case. Before you decide to take a plea deal, call us. We strive to obtain the best possible outcomes for our DWI defense clients, and we promise to aggressively represent you to ensure that every angle in your case has been examined. If you have been arrested for DWI or any other “drunk driving” offense, the lawyers at the Saputo Law Firm are prepared to go to extraordinary lengths to defend you and protect your rights. We handle every aspect of your DWI representation, from your license suspension issues (like representing you at your ALR hearing to fight the license suspension & obtaining an Occupational Driver’s License to keep you driving no matter what) to your DWI criminal defense in the county criminal and district courts. Have you been charged with a DWI? 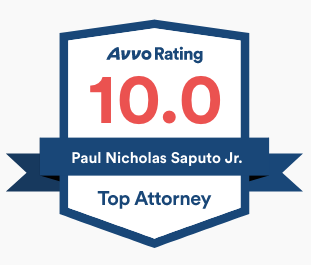 Call DWI Defense Lawyer Paul Saputo at (888) 239-9305. We conduct independent investigations, analyze videos of the administration of your field sobriety tests, and challenge blood and breath tests. Ultimately we prepare a detailed and comprehensive body of evidence to protect your rights. Your license is NOT automatically suspended due to a DWI arrest. This is the most frequent confusion that our clients have, and for good reason: if the police take away your license, they usually issue you a DIC-25 which says on the top, “Notice of Suspension.” However, this is misleading. You are entitled to a hearing on the state’s attempt to take away your license. This hearing is called an ALR Hearing. Your license will be suspended only if you either fail to request the ALR hearing or you lose the hearing. Do not fail to properly request the ALR Hearing. We highly recommend that we do this for you, but there is a tight deadline to request the hearing. The police usually only take your license away if you either refused to consent to a breath test or blood test after a DWI arrest or if you consented then failed a breath test or blood test after a DWI arrest. However, if you request the ALR Hearing, the state (through DPS) has to convince an administrative court (SOAH) that the police had a good reason to conduct a DWI investigation (usually done through reasonable suspicion of a DWI stop or traffic violation) and probable cause to arrest you. However, the burden of proof for this hearing is very low, and it is easy for the state to win if you do not know what you are doing. Do not do this hearing alone without a lawyer. It will not work out well for you. We see this all the time. If you consented to a blood draw, the police should have given you your license back after the blood draw. The state will only attempt to suspend your license if the blood results come back over the legal limit. Note that in such a case, your window for requesting the ALR hearing is shorter. Also, make sure that you check your mail. DPS will mail you the letter. If you have been charged with DWI and the state’s attorneys are offering you an “obstruction plea,” (“obstruction” refers to the offense of Obstructing a Highway) it typically means that there is some defect in their case that would make it difficult or impossible to prove that you committed the DWI offense. Many counties refuse to make this kind of offer, but some (including Dallas County and Harris County) will consider it. However, whether or not you should accept this plea bargain is a different question. If the prosecuting attorney believes the case is so bad that they are willing to plea it down to Obstruction, then you should consider fighting the case in trial. Everyone is entitled to a jury trial, and if the state is unable to prove their case, then a jury should find you Not Guilty. A Not Guilty verdict is always better than a Guilty verdict, even if the Guilty verdict came as a result of you accepting an Obstruction plea bargain offer. On the other hand, there is always a risk in going to trial. No attorney can promise that a jury will find you Not Guilty. So accepting the plea bargain agreement to an Obstruction plea will eliminate any risk that you are found Guilty of a DWI. This is a valuable outcome, and it has many other benefits including saving a lot of time. It is a decision you should not take lightly and discus with your defense attorney. Just because you are arrested does not mean that you are Guilty. Do NOT plead Guilty before consulting us. Also, if you are worried that you may have “accidentally” plead guilty because you said something to a judge or a police officer the night of or the day after your DWI arrest, don’t worry: you haven’t. Call us as possible to discuss your charge with our DWI Defense Attorney. After you bail out of jail, you will be given a court date. Counties notify you of the court date in different ways, and sometimes your bail bonds company will know about the court date before you do. You will eventually have a series of court dates. These dates are not the same thing as a trial. The first court dates are usually intended for the attorneys to meet and share information. Your DWI Defense attorney will receive what’s called “discovery evidence” from the state, and the state prosecutors will usually make a “plea bargain offer” to entice you to plead guilty without a trial. Do not plead guilty without contacting us first. the state cannot force you to plea guilty and accept the plea bargain offer. Unless your case is dismissed, there are only two outcomes in a criminal DWI case. You will either go to trial or plead guilty. You are entitled to a trial on a DWI charge if you want a trial. If you plead guilty, you cannot take it back at a later date. If you plead guilty, it will always be on your record. There are NO exceptions (OK, technically there are exceptions, but it is almost impossible). If you plead guilty, you will have surcharges of $1000 per year or more on your license in addition to many other “non-criminal” penalties. Winning a DWI case is not just a matter of argument. The state of Texas takes DWI crimes seriously, and you will inevitably be confronted with a pile of seemingly insurmountable evidence. However, this evidence may not appear to be what you think it is or what the state prosecutors tell you it is. It takes an experienced and sometimes creative eye to look through the evidence and find out where the faults lie. Every DWI investigation inherently relies on science, and science is not perfect. You should retain a serious DWI Attorney to represent you so that you can analyze the evidence through the most recent DWI science and law. The state prosecutors are not going to help you get rid of a charge. Your DWI defense attorney should be your advocate in and out of court to help you get a good resolution to your case. What is an ALR Hearing? How do I contest a license suspension? If you were arrested for a DWI offense, chances are that you have received a notice that your license is subject to suspension because you either failed or refused to take a breath test or blood test. If you have received this notice, then you are entitled to have an ALR hearing to contest your license suspension. However, if you do not timely and properly request this hearing, then you will lose this valuable opportunity to contest your license suspension. If you fail to timely or properly request a hearing, or if you have a hearing and the judge determines that you were above the legal limit at the time that you were driving, then your license will be suspended through the administrative SOAH court. If you license is suspended, you may be eligible to receive an Occupational Driver’s License (ODL). The DWI Process begins before any arrest is made. The DWI process usually begins with a police officer or some other law enforcement agency conducting and investigation. DWI enforcement officers might be scouting for potential offenders or responding to a 911 call or doing any number of other things before they initiate a formal investigation. Typically, the formal investigation begins with an observation of driving behaviors. If the DWI investigators choose to pull you over, they will attempt to gather information from you in several different ways, including through roadside questioning, physical evidence collection, Standardized Field Sobriety Tests (SFSTs) and other field sobriety tests. DWI investigators need a Reasonable Suspicion to stop you on the basis of DWI suspicion, and they need Probable Cause to make an arrest. Once the DWI investigators have concluded the investigation, they will make a determination about whether to arrest the suspect. If the officer chooses to make a DWI arrest, the officer will transport him or her to a local jail for evidence collection and booking. Bail will be set and the person will eventually be given a first court date. After someone is arrested for a DWI, the state will charge the person with a criminal DWI offense and also attempt to suspend the person’s license through a civil Administrative License Revocation (“ALR”) process in the State Office of Administrative Hearings (“SOAH”) courts. The criminal case will be resolved in criminal courts by state prosecutors and your defense attorney. There will be a series of court dates in the county criminal courts (or district courts if the charge is a felony). The ALR process is not automatic. Your attorney will need to request the hearing and aggressively pursue your defense in the SOAH court. Through this process, your attorney will prepare your defense against the criminal charges and address your license suspension hearing. Eventually you will receive a determination about the status of your license in the ALR process. If your license is suspended, you will want to obtain an Occupational Driver’s License (“ODL”). You will also eventually have to make a decision about whether to go to trial or to plead guilty, unless your case is dismissed. If you decide that you want a trial, your attorney will present evidence to a judge and jury who will decide whether or not to convict you of the DWI offense. Your DWI case will result in either an acquittal, a dismissal or a conviction. If you go to trial and you are found “Not Guilty,” then you have been acquitted and you will be eligible to have all records related to the DWI arrest permanently removed from your record through a process called “Expunction.” If the case is dismissed, you may be eligible for expunction as well. If the case results in a conviction, then you will be either put on probation for a period of months or years or confined to jail. If you are placed on probation, then you will have to abide by the terms of probation prescribed by the court. During the course of the DWI probation, the state may attempt to revoked your probation by alleging that you violated your probation. You will be entitled to a hearing on the motion to revoke your probation. If the court determines that you committed a probation violation, then the court has the authority to placed you in jail for the remainder of your sentence. You are entitled to have representation at the probation violation hearing. On the other hand, if your probation goes well, you may be entitled to have your interlock device removed early and go on non-reporting status. Also, if you are convicted, there are numerous other penalties that are not specifically outlined in the criminal laws that you should understand before pleading guilty. Many people who are convicted of a DWI end up dealing with the DWI for years after the date of the arrest. The entire DWI Process can take years to get to complete. It could take years to get to a final disposition, then months or years of probation if you are convicted and years of surcharges and other driving-related consequences. Depending on whether you are charged with “DWI 1st,” “DWI 2nd” or “DWI 3rd or more,” the process can take different amounts of time and you will be facing a different range of consequences. A conviction for DWI 3rd or more is a felony DWI conviction, and the penalties that you face will be substantial. Intoxication cases usually rely heavily on scientific evidence. The intoxication offenses require the state to prove intoxication, which is itself a scientific term. There are two ways to be “intoxicated” under the law: a blood alcohol content (BAC) above a 0.08% or loss of the “normal use of mental or physical faculties” (learn more about the definition of intoxication). Why did I get arrested if I did well on the roadside tests? To collect evidence that your BAC is above 0.08%, police officers use scientific testing in the form of field sobriety tests, breath tests and blood tests. All of these types of evidence have a fundamental basis in science. The loss of “normal use of mental or physical faculties” type of intoxication is a blurry line, but “normality” itself is a scientific concept. What is objectively “normal” is an empirical question, and one that is certainly subject to debate (and probably different for different people). Usually the state uses the results of the same police-administered standardized field sobriety tests to prove or help prove the “normality” type of intoxication. In order to fight intoxication charges, it is crucial to understand the science behind intoxication and the science related to all of the evidence and the evidence collection methods. If you took a breath test or a blood test and the state alleges the results indicated a BAC over a 0.08, then in order to best fight the charge, your attorney will need to understand the mechanics of the breath test, proper administration procedures, the science behind the test and the physiology of alcohol consumption. If you did not take either the breath test or blood test, then your attorney should be familiar with the field sobriety tests that were administered by the police in order to determine whether or not they were properly administered. DWI cops almost always say the same thing in their reports. Clues like slurred speech, the scent of alcohol and bloodshot eyes are noted in almost every report. So in order to poke holes in the state’s case, you have to know where to look. Sometimes it is impractical or even impossible for DWI cops to administer the standardized tests, so they use other tests that have little or no scientific validation. One circumstance in which this is common is an investigation into a “Boating While Intoxicated’ offense. The field sobriety tests that police administer in the field during DWI investigations were initially developed and used by individual police units across the country. Extensive scientific research studies only began in 1975 when the NHTSA contracted the Southern California Research Institute (SCRI) to assess the reliability and accuracy of these field sobriety tests. SCRI published reports in 1977, 1981 and 1983. Six tests were used in the initial study, but only three of them, and only when administered in a standardized manner, were highly accurate and reliable for distinguishing a blood alcohol content (BAC) of above a 0.10. These three tests were the Horizontal Gaze Nystagmus (HGN), the Walk-and-Turn (WAT) and the One-Leg Stand (OLS). NHTSA determined, through an analysis of the lab data provided by SCRI, that the HGN was 77% accurate, the WAT was 68% accurate and the OLS was 65% accurate. When used together, the HGN and WAT achieved 80% accuracy. Of course this means that 20% (one-fifth!) of the time, even the two tests together are inaccurate. And this is, of course, data obtained in a lab by scientists, not police officers. The final phase of the study was a field validation where standardized procedures were developed. The NHTSA concluded that the three standardized tests were reliable in identifying people with BACs above a 0.10. Three standardized field sobriety test (SFSTs) validation studies were commenced between 1995 and 1998, including studies in Colorado (1995), Florida (1997) and San Diego (1998). The results of the three studies supported the institutionalization of SFSTs. Nystagmus is a condition where a person’s eyes involuntarily “jerk.” Alcohol and certain other drugs cause Horizontal Gaze Nystagmus. Of course, Nystagmus in and of itself does not increase the likelihood that someone is unable to drive; instead it only indicates the presence of alcohol and certain other drugs. And also, of course, people are able to drive safely with a multitude of drugs in their system. The question, therefore, is whether Nystagmus can reliably be determined to be caused by prohibited drugs and whether that may not rise to the level of impairment. Vestibular Nystagmus. Vestibular Nystagmus is caused by movement or action to the vestibular system. Rotational Vestibular Nystagmus is caused when fluid in the inner ear is disturbed when a person is spun around. Post Rotational Vestibular Nystagmus occurs after a person stops spinning around. Caloric Vestibular Nystagmus occurs by changes in temperature. Positional Alcohol Vestibular Nystagmus (PAN) occurs when some fluid enters the body and changes the specific gravity of the blood in unequal concentrations between the blood and the vestibular system. Nystagmus from Neural Activity. Optokinetic Nystagmus results from fixating on an object that suddenly moves out of sight or from watching sharply contrasting moving images (for instance, watching strobe lights, rotating lights or rapidly moving traffic nearby). Physiological Nystagmus is natural and occurs in everyone, and very frequently. It is the most common type of Nystagmus. It produces very minor tremors and are generally impossible to be seen by the naked eye. Gaze Nystagmus occurs when the eye moves from center position. There are three types of Gaze Nystagmus, including Horizontal Gaze Nystagmus that occurs as the eyes move to the side, Vertical Gaze Nystagmus that occurs when eyes look upward at maximum elevation and Resting Nystagmus that occurs when the eyes look straight ahead. Nystagmus may also be caused by pathological disorders, including brain tumors, brain damage or particular diseases of the inner ear. As discussed on our DWI page, the police don’t tell you what clues they are looking for. You may think you did well on the tests, but unless you know what the police were looking for, there’s no way to tell whether you really passed the roadside field sobriety tests. In addition, if they tested your eyes with the HGN test, you can’t see what they saw, so you don’t know whether your eyes displayed any nystagmus.